Brandy, whelped 5/16/10. 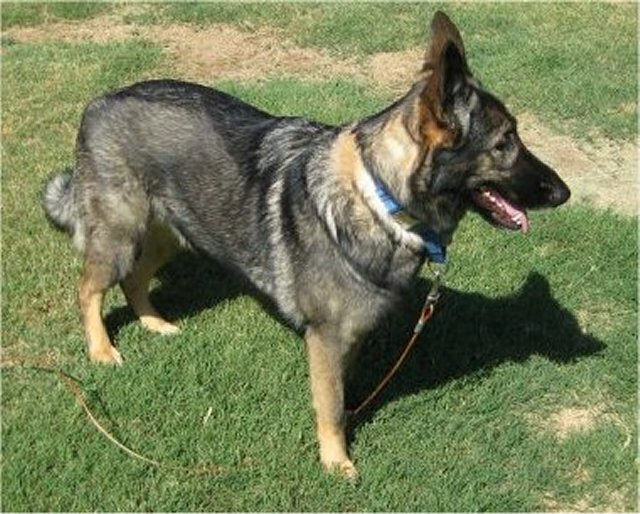 Purebred Sable GSD DDR Female (Spayed). Diagnosed EPI March 2012 at <50lbs. Went thru the SIBO routine and got it cleared up with Tylan (Tylosin) 40 day regime. Feeding: Earthborn Holistic Grain Free Coastal Catch, 3x day – 1.5cup each. EnzymeDiane’s 6x – 1/2 tsp each feeding. TRINFAC-B Intrinsic Factor – 1 cap daily. Occasionally, as a topper, I add a couple spoons of Solid Gold Canned Green Tripe or Sardines in water or Tunafish. She loves it! 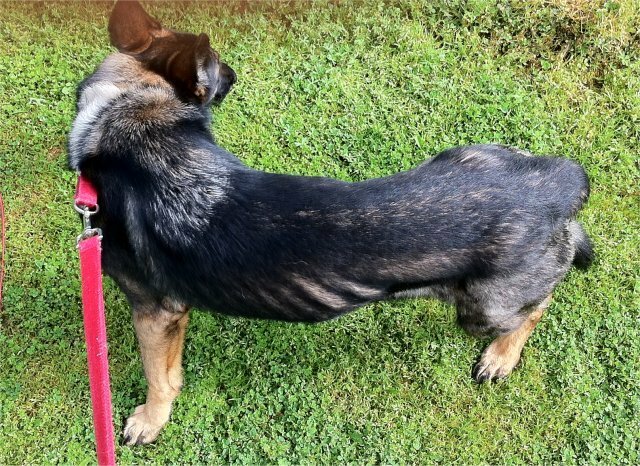 As of July 2012 she is doing GREAT and over 60lbs. Thanks to Olesia for this wonderful Site and the folks that participate in it. You ALL saved my Brandy. Also a BIG THANKS to Diane & Sarge (RIP).